RADIO : Spektrum DX3S with telemetry all set up. RADIO : Spektrum DX3R, ProTek RC 2000 2S lipo and ProTek regulator, JR switch. Camber, droop, toe and ride height are still as it came out of the box. I just installed a center smart diff and the short steering ackerman, we'll see how it works out next time out. Without specifying the type of track and track surface, a person might as well go with the factory setup as a starting point. Chris you're using the losi comp shoes w/ green springs? yeah the car is brand new, I don't have money to spend at, tires, wheels and other hop-ups yet. 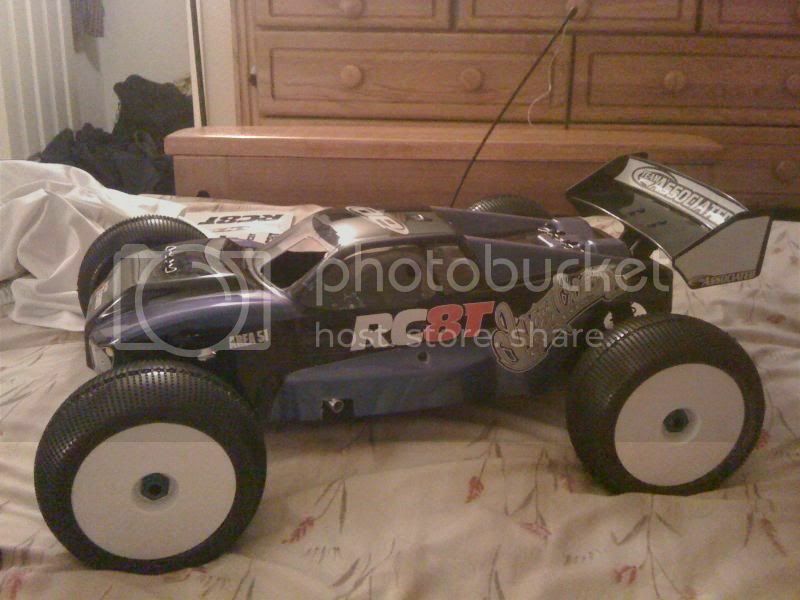 I will buy a better radio soon, just have the traxxas for the moment. THIS THREAD IS NOTHING WITHOUT PICS!!!!!!!!!!!!!!!!!!! 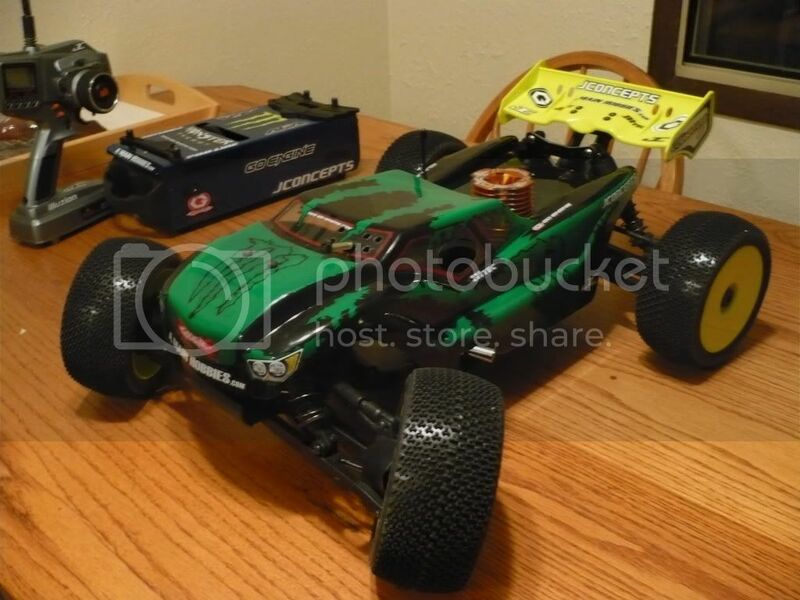 Assosiated , 2 hyper 7's and a kyosho inferno, they all have wheels, an engine, a fuel tank, and a couple even have brakes ! LOL ! The best bit about my set up though, is the half drunk loopy driver ! whats up guys got a question and hope i can ge some help...................i have a inferno gt and i wanna make it into a truggy........does anyone know what i need.......a-arms? shocks?halfaxles? You need all of it. Not worth the trouble. 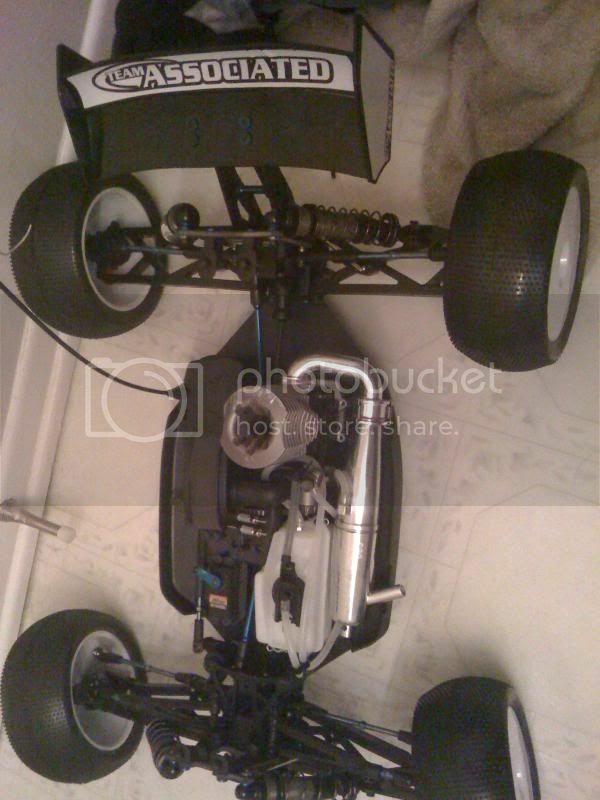 I'm building a MBX6T M-spec with a OS VZ B V-Spec and I am looking at pipes, I preffer JP but I am looking for advise on which pipe for this combo. Mid sized indoor track. But i like it for the outdoor tracks to. an dynamite 053 works fantastic on that engine. its pretty close to JP pipe but cheaper. a JP3 would work also, or for short tight tracks JP1. but i highly highly recommend the 053. Sounds good, do you know if it will fit inside the stone guards on the MBX6T? I tried fitting the JP pipe and it hits the stone guard pretty bad. WHEELS :Slash 2.2/3.0 Red Beadlooks Proline Bowties Aluminum Hex Extenders for more stability. RIDE HEIGHT : Stock 1" After modding 2.25"
Replaced all turn buckles with steel and revo tie rod ends. Have a Novak Havoc ESC and a SS 17.5t BL Motor combo coming. 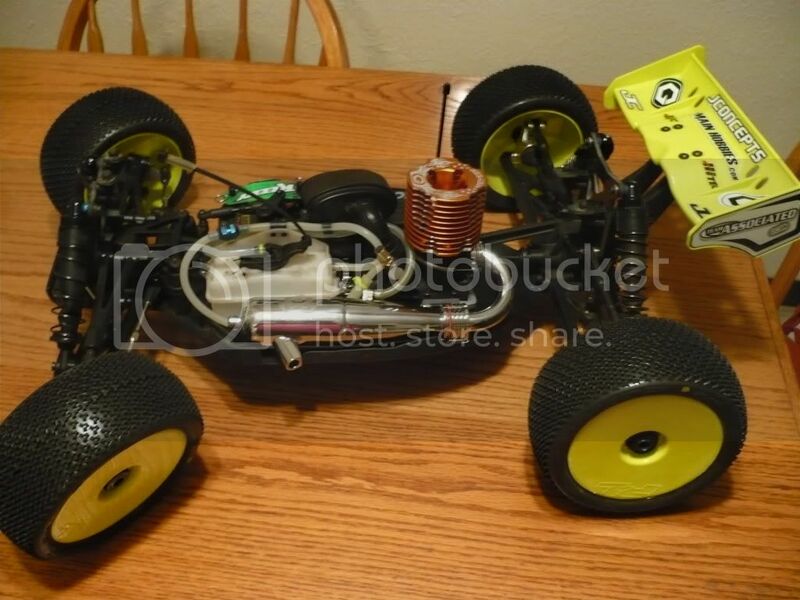 Also added 6.5 ounces of weight to the chassis. Swaybar kits maybe necc after going BL. Nice site here btw. so many have so little current activity. i run a jp4 on my vzb ... the pipe runs out just like a jp3 but gets better mileage. THR SERVO : Jr "standard"